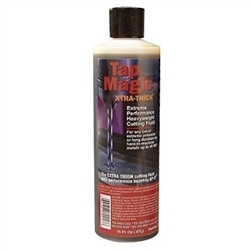 While Tap Magic XTRA-THICK is highly effective for any cut on any metal, it is without equal when making cuts of long duration on the hardest metals such as inconel, titanium, stainless and other hardened steels. In fact, its highly effective on any metal up to 45 RC! 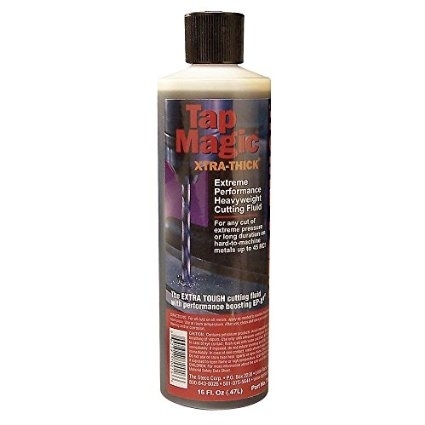 Tap Magic XTRA-THICK contains the proprietary EP-X3 additive for a performance boost. It virtually eliminates work hardening. And it has an extended cling time so it stays with the tool and work piece longer for deep hole cuts.